KOULOURAKIA. As is traditional, this lightly sweetened, hand-twisted butter cookie has a delicate hint of vanilla with a light egg glaze. 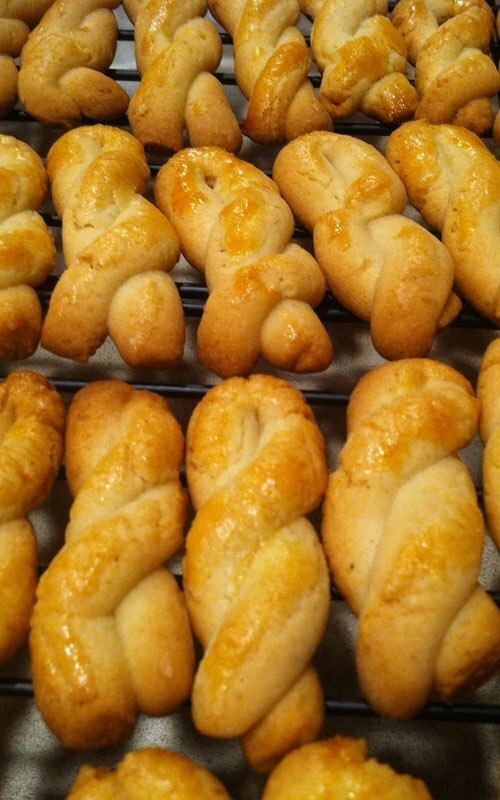 A staple in all Greek households, they’re fantastic when paired with tea or coffee from our Kafenio.